The single pouch of Flexpet Soft Chews contains 60 soft chews, which are our extra strength formula. The Flexpet Soft Chews contain the same ingredients as our traditional Flexpet tablets, but have a higher concentration of our most effective ingredients in order to accommodate larger dogs and dogs with more severe conditions. It is also made in “soft chew” format, which is much easier for older dogs that may have a hard time chewing a traditional tablet. The product is specifically designed for optimum joint health, helping to enhance mobility and flexibility in pets suffering from stiff, sore, and painful joints. 11/5/2018 – How long should one pouch of the Soft Chews last? Response From Flexcin International: This will vary from dog to dog depending on size and severity of pain. 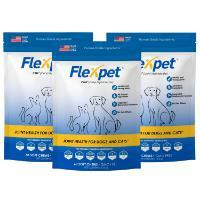 For an average 50-75 pound dog, one pouch of Flexpet Soft Chews will last for 30 days (1 month). 11/2/2018 – I have a 22 pound pug. I don't need extra strength for him, but he has difficulty chewing. Should I still give him soft chews? 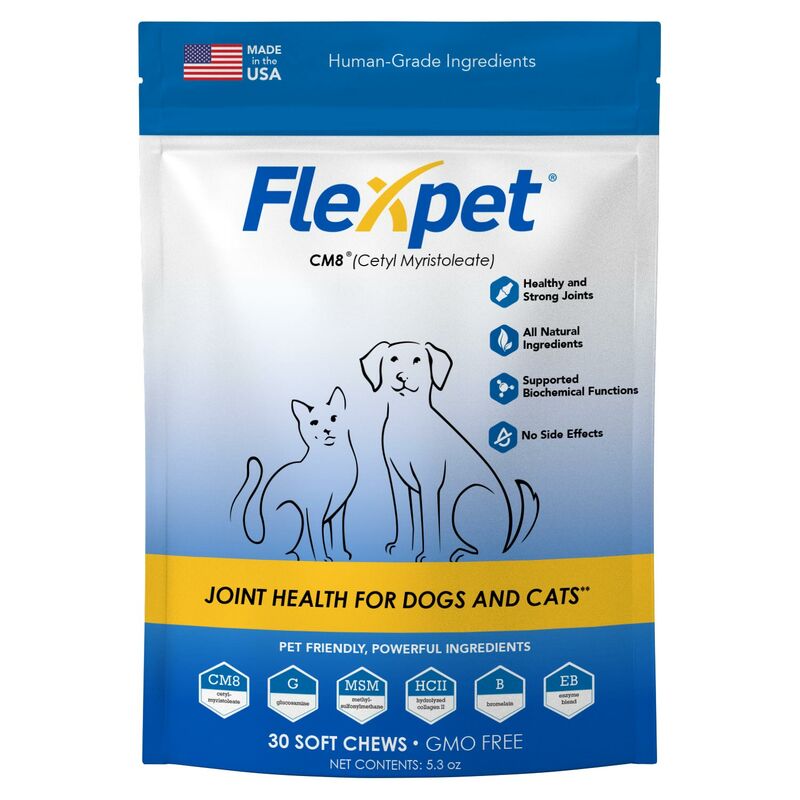 Response From Flexcin International: It is absolutely okay to give him Flexpet Soft Chews, and they will probably be best for him if he has bad teeth or difficulty chewing. Just make sure you give the correct dosage, as it will be less in the Soft Chew product due to higher concentration of key ingredients. 10/5/2018 – Can I give a smaller breed Soft Chews? 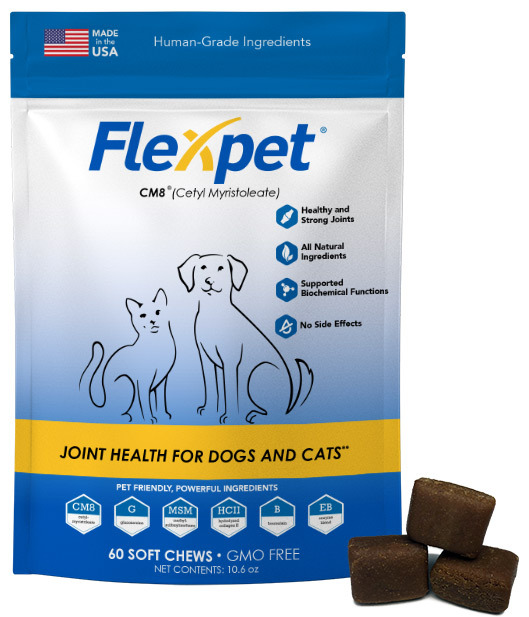 Response From Flexcin International: Yes, the Flexpet Soft Chews are safe for any breed, just make sure you give the correct dosage based on their size. For a full dosage chart, please click on the “Directions” tab. 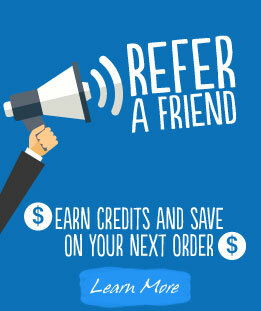 10/5/2018 – I have been giving my pet the standard Flexpet tablets. Should I switch to soft chews? Response From Flexcin International: If your dog has been doing well with our standard formula, there is no real need to switch. However, as your dog gets older the condition may worsen, or they may have more trouble with harder food/supplements. In that case, you can try Flexpet Soft Chews for the increased support and ease of consumption.